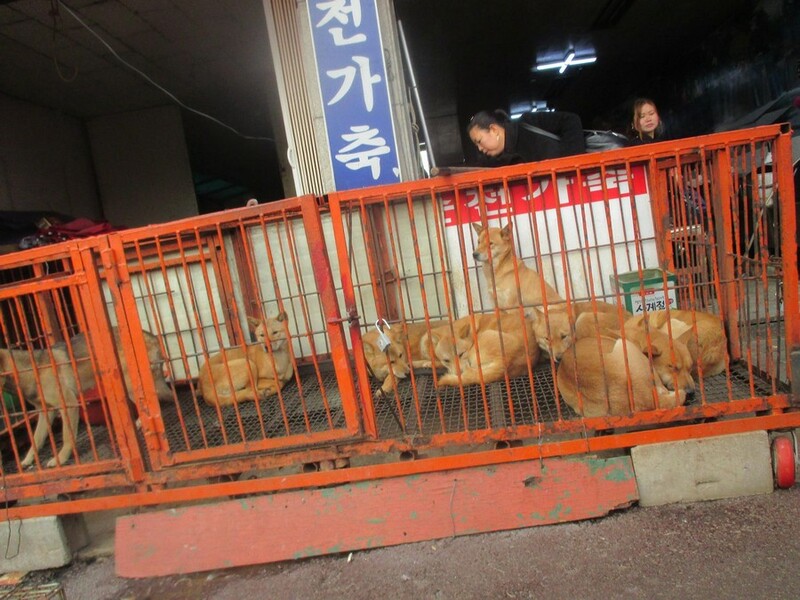 Call for Action: Write to the South Korean Minister of Health & Welfare! Home / Blog / Call for Action: Write to the South Korean Minister of Health & Welfare! 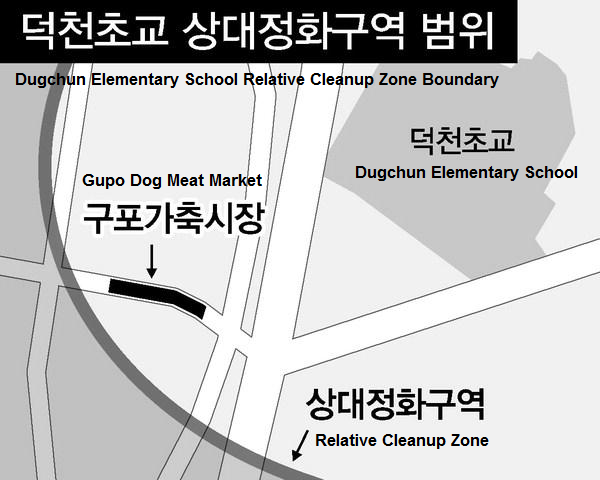 The Busan Buk-gu District Office recently issued their response to a civil complaint filed by the Busan Korea Alliance For Prevention of Cruelty to Animals regarding the violation of School Health Act at the Gupo Dog Meat Market. Click for Busan Buk-gu’s Response! 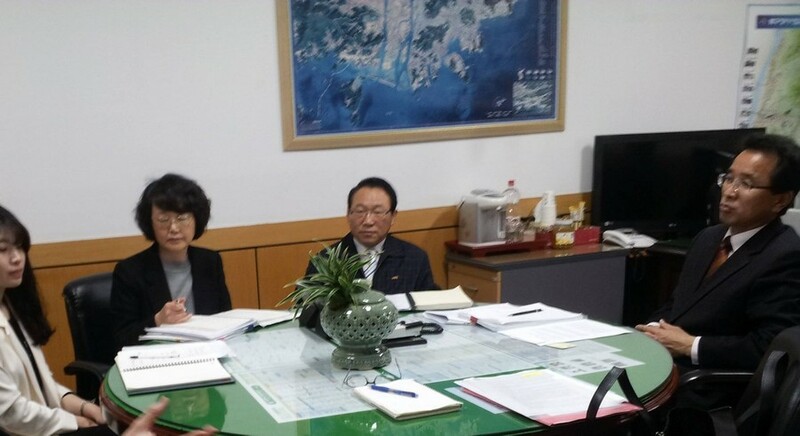 It was the opinion of the Busan Buk-gu District Office that Article 6, Paragraph 1, Subparagraphs 1, 5, 7, 8 and 11 of the School Health Act do not apply to the Gupo Dog Meat Market and that the Gupo Dog Meat Market is not subject to administrative action or removal. This opinion was issued by the Busan Buk-gu District Office without comment as to why the above provisions of the School Health Act are not applicable. This is an outrageous neglect of duty and shameful indifference by the Busan Buk-gu District Office toward not only the unimaginable suffering of these dogs but also toward the children who has to walk by these horrendous sight everyday on their commute to school. Click for Busan News article: Dispute over the Gupo Livestock Market’s violation of the School Health Act! Please send a letter to the Minister of Health and Welfare! Please write to the South Korean Minister of Health and Welfare, Hyungpyo Moon, requesting that his Ministry issue a position with respect to the decision of the Busan Buk-gu District Office regarding the Gupo Dog Meat Market! Use the sample letter in English and Korean provided below and feel free to add your own words. Send a copy of this letter to the South Korean Embassies and Consulate General’s offices around the world! It was the opinion of the Busan Buk-gu District Office that Article 6, Paragraph 1, Subparagraphs 1, 5, 7, 8 and 11 of the School Health Act do not apply to the Gupo Dog Meat Market and that the Gupo Dog Meat Market is not subject to administrative action or removal. This opinion was issued by the Busan Buk-gu District Office without comment as to why the above provisions of the School Health Act are not applicable. The current conditions at the Gupo Dog Meat Market, as evidenced by many media available online and provided by the Busan Korea Alliance For Prevention of Cruelty to Animals to the Busan Buk-gu District Office, clearly show that the Gupo Dog Meat Market is not being operated under healthful conditions and therefore is in violation of your stated policy. 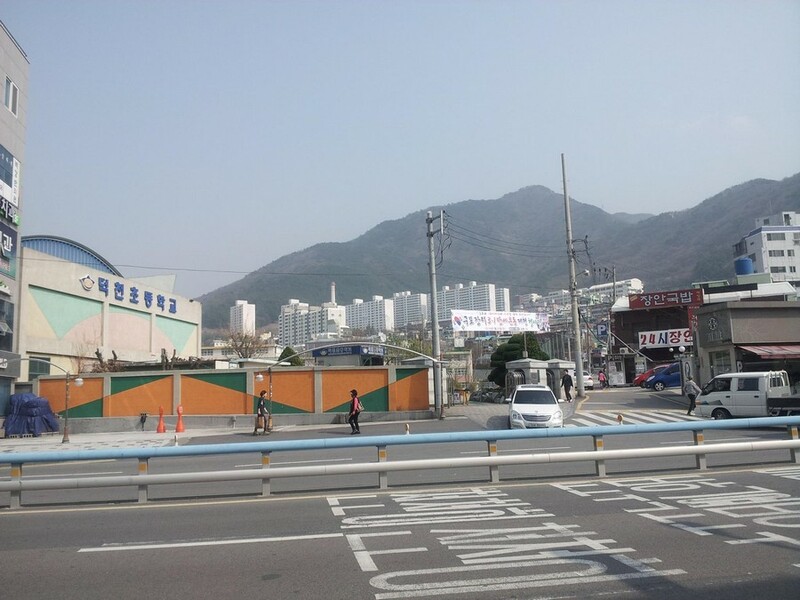 It appears that the officials in the Busan Buk-gu District put money and greed before the education of their young children. Please imagine letting your kids grow up hearing the screaming of the meat dogs and seeing them writhe in agony, being brutally slaughtered right in front of their young eyes. It will either traumatize these children for life or make them immune to the suffering of animals, turning them into the next generation of animal abusers. We are, therefore, respectfully requesting that the Ministry of Health and Welfare issue a position with respect to the decision of the Busan Buk-gu District Office regarding the Gupo Dog Meat Market. 부산동물학대방지연합이 구포 개시장의 학교보건법 위반과 관련하여 민원을 접수 했습니다. 최근 이에 대해 부산광역시 북구청으로부터 회신을 받았습니다. 회신에 따르면 구포 개시장은 학교보건법 제6조 제1항의 1호, 5호, 7호, 8호, 11호에 해당되지 않기 때문에 행정조치 및 철거 명령의 대상이 되지 않는다고 되어있습니다. 하지만 어떤 근거로 학교보건법이 적용되지 않는다고 하는지에 대한 언급은 전혀 없습니다. 온라인상의 많은 미디어를 통해서 또 부산동물학대방지연합이 북구청에 제공한 자료들을 통해서 이미 입증되었다시피 현재 구포 개시장은 전혀 위생적으로 운영되고 있지 않습니다. 이는 보건복지부의 정책과 위배되는 일입니다. 부산 북구청의 공무원들은 어린 학생들의 교육보다는 돈과 탐욕을 우선시하는 것 같습니다. 장관님의 자녀가 식용개들이 지르는 비명을 듣고, 잔인하게 도살되면서 고통에 몸부림치는 모습을 눈앞에서 바로 보면서 자란다고 상상해 보십시오. 아이들은 평생 트라우마를 가지고 살게 되거나 또는 동물의 고통에 무감각해져서 다음 세대의 동물학대자들이 될 것입니다. 따라서 구포 개시장에 대한 부산 북구청의 결정에 대하여 보건복지부가 나서서 입장을 피력해 주시기를 간절히 요청 드리는 바입니다. Immonde, une honte pour l’homme. I can’t post ANY of your petitions on Twitter because your tweets are TOO LONG. Posts can’t be more than 140 characters including spaces. I’ve had this problem before. PLEASE FIX THIS! Also please fix the Facebook link to a simple Share. It’s simply not practical to ask people to send individual messages to all their Facebook friends for every single petition. If you want to spread the word to as many people as possible it needs to be done much more efficiently. Thank you for the tips about reducing the twitter post generated by change.org. We figured out how to do this and we are working on it right now for each of our petitions. Thank you so much! Check back on our petition page in about an hour and it should be all completed. Thank you so much for caring! SUCH CRUELTY THAT YOU ALLOW TO CATS AND DOGS IS UN-DENIABLY VISCIOUS AND SICKENING TO MOST OF THE HUMANS ON THIS EARTH ! HOW CAN YOU TORTURE ANIMALS THAT FEEL PAIN AND FEAR AS MUCH AS YOU DO ?? THIS REALLY IS A DISGRACE TO HUMANITY. BOILING CATS ALIVE, SKINNING DOGS ALIVE AND CUTTING THEIR LIMBS WHILE THEY ARE ALIVE IS BEYOND IMAGINABLE. TO HEAR THE ANIMALS SCREAM IN PAIN IS A TERRIBLE TERRIBLE THING AND HOW CAN YOU DO IT ??????? WHY ?? TO HURT OR INFLICT SUCH TORTURE ON A LIVING HUMAN IS WRONG AND THERE IS REALLY NO DIFFERENCE AT ALL TO DOING IT TO ANIMALS. THE SAME FEAR THE SAME PAIN. ALL LIVING BEATING ORGANS IN THE BODY. I PRAY THAT YOU WILL EVOLVE SPIRITUALLY AND RESPECT LIFE IN WHATEVER BODY ITS IN . QUESTE CREATURE HANNO IL DIRITTO ALLA VITA COME OGNI ESSERE VIVENTE.DIAMO UN FUTURO SENZA CRUDELTA A QUESTI BAMBINI.BASTA CON QUESTE SEVIZIE E CRUDELTA SU GLI ANIMALI. Thank you for caring about the South Korean dogs and taking action! South Korean Embassies get lots of protest emails and they have put a spam filter on their email system that blocks dog meat protest emails. It’s shameful that instead of dealing with this urgent and important issue they just want to ignore it and hoping that we will give up and go away. Very typical of South Korean government without any moral leadership. But don’t give up! It’s easy for them to ignore our emails and letters but it’s difficult for them to ignore our calls so please give them a call today! http://koreandogs.org/what-you-can-do/contacts-for-protest/call-south-korean-embassy/ Thank you!!! to the blogger – I had trouble sending to most if not all e-mail addresses as it seems the mark @yahoo as SPAM. If you have know about this and are aware of any free e-mail accounts they don’t block (if you have previously looked into) I would gladly set up another e-mail account to send these letters off. In the meantime, I will post through USPS. i have copied and i have delete all the dots between the e-mails but it still didnt let me send them. I have got automatic e-mails that it didnt go through. can you please fix or check whats going on maybe they changed their e-mails or something is going on. Please write me back here or e-mail to let me know what to do next. We feel anger,disgust and shame for all the human species. We are worse than animals.We make HELL on this planet. Ma avete un po di cuore, coscienza, pietà?!!!! Chi siete voi?! Esseri umani con cervelli e sensi sviluppati di sicuro NO! Di umano non avete niente, la civiltà 0. Perché il popolo e tutti questi che comandano possono guardare e permettere una barbaria simile?! Perché?!!!!!! Le persone che fanno questo con gli altri esseri viventi-sensienti sono dei criminali, sadici, con gravissimi problemi mentali! Queste persone sono da eliminare, da rinchiudere in galera & ospedali psichiatrici. POPOLO KOREANO!!! SVEGLITEVI! Almeno non TORTURATE! e non ucidete in questo modo. VI PREGO!